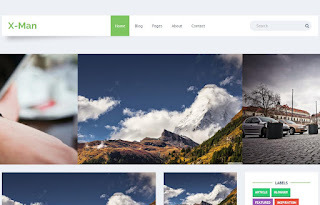 X Man is a free blogger template with a responsive layout and is mostly suitable for personal Blogs, Blogging Blogs, Tech Blogs with a Magazine Style 3 Column Layout. X-Man is a complete blogging template with lots of features. X-man has a pixel perfect design. X-man is seo optimized and fast loading blogger template. X-man is easy to customize and is well documented for you to easily customize the template according to your needs.